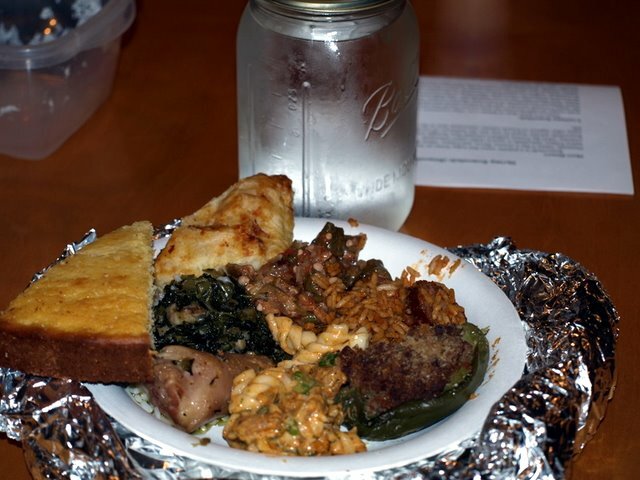 This course explores regional Louisiana foodways, examining geographic, historic, and environmental influences on the state’s contemporary food culture. Topics include cultural change and the process of creolization, local food practices and beliefs in public and private spheres, variations in Cajun and Creole identities in Louisiana, and special emphasis on the food culture of New Orleans and its immediate surroundings. Students will conduct basic food-related fieldwork, record their experiences, sample iconic Louisiana foods, listen to food-related local music, analyze cultural materials ranging from cookbooks to farmer’s markets, and participate in a communal meal as a conclusion to the course. This class combines primary sources, scholarly readings, and first-hand experiences. The class is offered through Tulane University’s School of Continuing Studies. It will meet on Tuesday & Thursday evenings from 5:45 to 8:35, in the G2 6-week summer session (June 27 through August 10; see the academic calendar). Space is limited, so act now if you’re interested. As of 9 am today, just eight seats remained. Tulane’s School of Continuing Studies offers open admissions; anyone with a high school diploma or GED may enroll as a part-time student. Click here to apply. 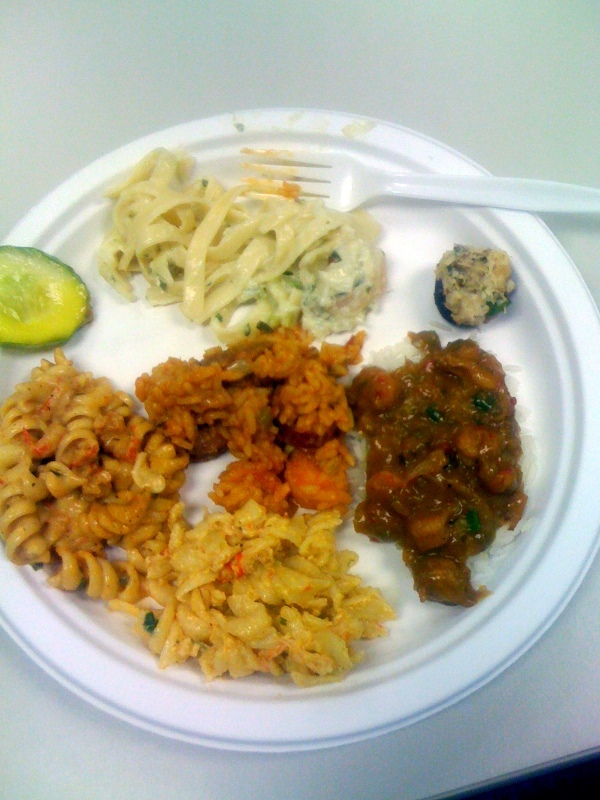 Pictured are plates from the course’s edible final exam in 2008 and 2010, with a sampling of student-prepared foods: crawfish monica, pig tails & collard greens, corn bread, stuffed peppers, pickles, seafood fettucini, stuffed mushrooms, crawfish etouffee, jambalaya, crawfish puffs. Yes, that is a jar of moonshine in the top photo. If you took the class and are reading this post, feel free to comment on your experience. Here’s some past publicity on the course. Wish you were close enough to enroll….and I’m enjoying your blog, too. Had a good laugh about your little dirt-eater! Oh, how I long to take this course! I don’t just want to know the information for myself, but it would make me better informed in my job. Alas, I’m in Lafayette and it just wouldn’t be possible. Sigh.